Folks of my vintage recall a world without computers. Desktop computers were the first widely adopted computers in the home. I recall guiltily slipping my first computer into the home past my wife, having spent around $1300 from the Montgomery Wards on a no interest if paid in 12 months deal for a 386 having a whopping 128mg (yes megabyte) hard drive and 1mg of memory. From there, I read many “For Dummies” books, tinkered and became a rebate hound where I enthusiastically amassed computer paraphernalia. 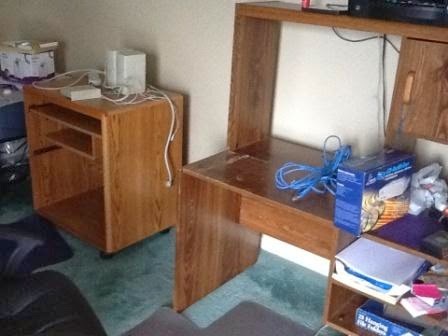 At the height of operations, I had amassed 3 desktop computers in the home and a basement holding many parts and peripherals. I had scaled back to only 2 remaining desktops in the home when the remaining family members agreed it was ok to divest of the desktop. I had not used these computers in years; my son using one for XP based games and my wife (resisting learning to use a laptop) had used the other. Regardless, it fell to dear old dad to get rid of them. 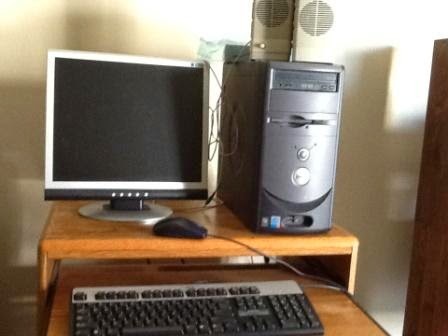 First step for anyone voiding their home of a desktop PC is to consider privacy issues. While this may seem paranoid, you need to carefully consider what information may be on your computers. I thought I was safe as I hadn’t used a desktop in years. I’m glad I checked; I was so wrong! I took a quick look using Windows Explorer searching for “*.doc” (the asterisk is a wild card so that it searched for any files with the “doc” extension which are Microsoft Word documents – the most likely files based on our usage. Sure enough, I found a resume and old documents used to apply for a Federal job. Not that long ago, you were required to provide a social security number and date of birth as part of the application and sure enough there was my information! After this experience, I decided that I needed to wipe all drives (I wasn’t taking any chances) and for the unindoctrinated this does not mean simply deleting documents. For this task, I used free product, a version of Active Killdisk. Before running a “Killdisk” application, you likely will also want to assess whether there is any information that you want to salvage and copy this information onto a “jump” drive (or other media). To locate this, I use the same strategy to look for Word documents and then I look at the location of these documents to see if there may be other documents in the same location. Other document types that you may want to look for are MP3, MP4 (music) and jpg (pictures). Also, I take a peek in likely locations such as the Desktop, My Documents folder and any other spots that appear to be likely suspects. If you have used iTunes to "rip" CDs, you may want to copy those folders to a jump drive as well. From there you can transfer to your laptop to avoid having to re-rip all of those CDs. After grabbing your important files and addressing privacy issues, you need to do a realistic assessment of what you have. For many folks, this may mean locating an electronics recycling handler in your area. You can do this by going to Google and type “electronics recycle your city your state”. In some instances for components such as CRT monitors you may need to plan to spend $10 or so for disposal. If your equipment is not too old, you may be able to sell it. In all honesty, my 2 desktops had very little value. They were Pentium 4s, but the systems were complete and had small LCD monitors. Regardless, I thought that if I installed Linux (to show that they worked and also the novelty of Linux sometimes attracts curiosity buyers) AND kept the price very low they might sell. I offered each system for $25 on Craigslist and to my delight found buyers for each within a couple of days. I’m still adjusting to the empty space. Yes, we still need to re-jigger for the router and printer, but I’m very excited at the amount of space that has now been freed up by ridding the house of 2 desktop systems.